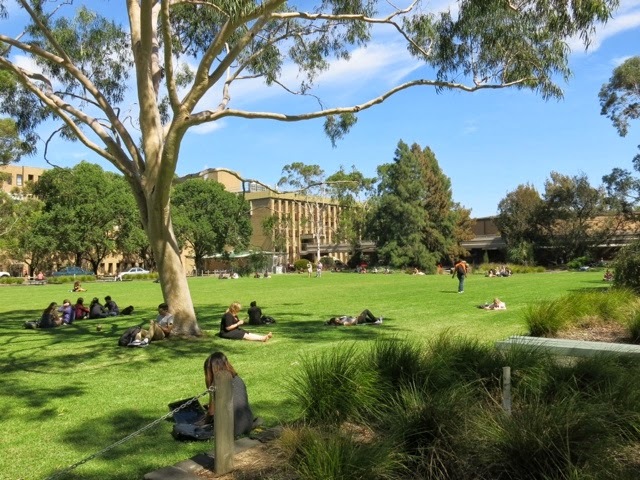 Annually my work colleages and I visit La Trobe University in Bundoora, about 30 minutes from the City, for a work related seminar. At lunch we disappear off to the campus pub for a few ales, although this year we shared a bottle of Moscato. During our walk there I stopped at the book stalls which are part of the Thursday Market. 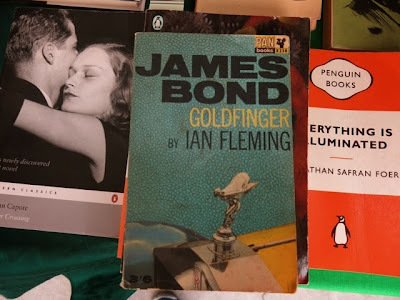 Last year at the same market I managed to find a rare-ish Bond paperback for sale. 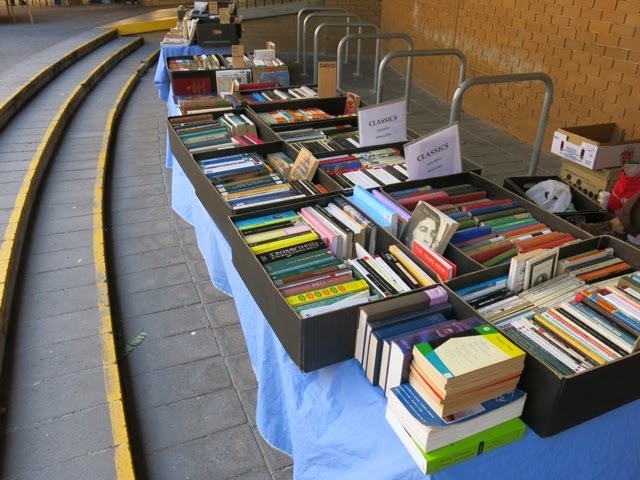 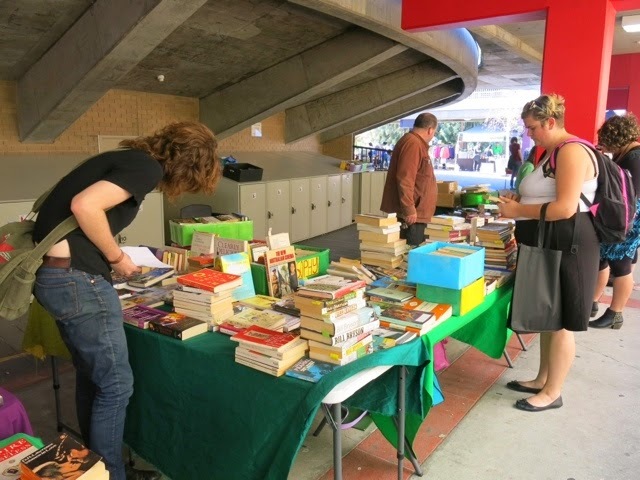 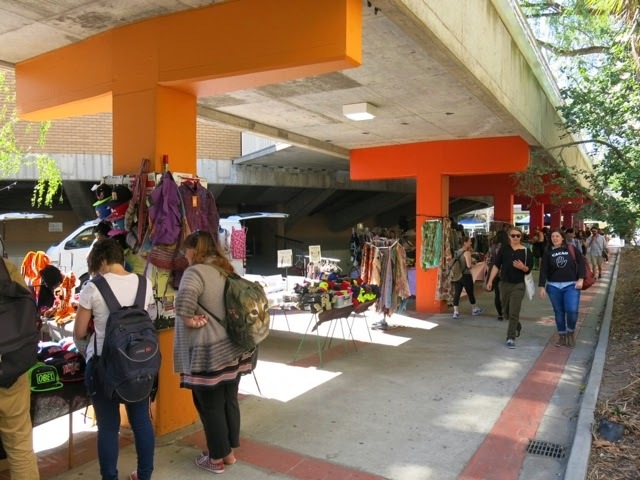 This year there were still a large number of books for sale at the stalls, almost all in very good condition and well priced to cater to what are probably the limited finances of students. The first stall I visited appeared to be the same one that had a Cape hardback copy of "The Man With The Golden Gun" for sale last year. After a quick scan of his stock I asked the owner if he had any Bonds for sale but he replied "No", explaining that it was hard to source good condition Bond novels nowadays. 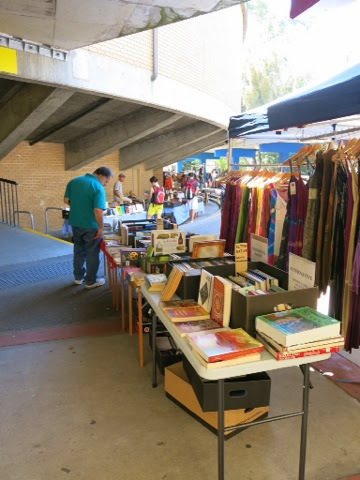 He appeared to be very knowlegeable about books and even asked about early Pan Bond cover art when I mentioned why I wanted to take photos of his stall. 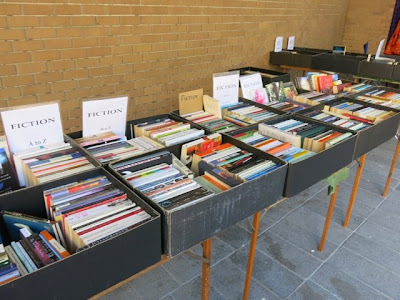 The second stall had just as many books as the first, and after asking the owner if I could take some photos I then asked if he had any Bonds to which he pointed out a 60's Pan copy of "Goldfinger". 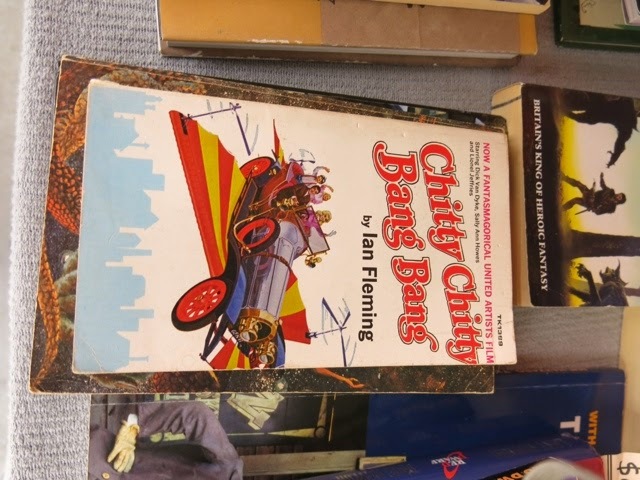 He also had a movie tie-in copy of Fleming's "Chitty Chitty Bang Bang". Unfortunately I had them both so I let them go, despite how cheap they were priced. Overall my visit this year wasn't as successful as the previous, however I now feel I should visit more often as I fear there could be a major turnover of Bond stock at this market and I've been missing out.